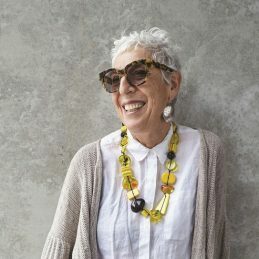 OzHarvest was founded in November 2004 when event’s organiser, Ronni Kahn wanted to make a significant contribution to society. Stunned by the amount of food wasted by the hospitality industry, she decided to do something about it. Inspired by AmericaHarvest, a charity that had been operating successfully for over 20 years in New York, Ronni brought the food-rescue model back to Sydney. Having been a successful business entrepreneur, Ronni transitioned to social entrepreneur becoming a leader and innovator in food rescue within the charitable sector. Backed by the Macquarie Foundation which provided initial funds and Goodman, which provided the first OzHarvest van and office space, OzHarvest was up and running. Ronni was instrumental in changing the existing legislation across four states that had prevented food donors from supplying excess food. Now companies and registered businesses around Australia are protected from liability when donating quality excess food to OzHarvest under the Civil Liabilities Amendment Act and Health Acts. OzHarvest collected and delivered its first meal on 3 November 2004 and in its first month delivered 4,000 meals to 14 shelters using one van. OzHarvest now delivers over 400,000 meals each month with a fleet of 21 vans to more than 500 charities across Sydney, Wollongong, Newcastle, Adelaide, Brisbane, Gold Coast and Melbourne. Since its inception, over 21 million meals have been delivered to women, children and men in need while also having rescued over 6,000 tonnes of food from ending up as landfill and waste. OzHarvest rescues its food daily from restaurants, cafes, hotels, retailers and food outlets throughout these cities then delivers the fresh meals which can include pre-prepared meals, fresh fruit and vegetables, meat and seafood products and packaged food to its charities. In 2011, OzHarvest found a way to assist and teach communities and individuals in rural Australia to set up their own food rescue service with the introduction of a regional food rescue program, REAP. Ronni was also behind the creation of the NEST program – Nutrition, Education & Sustenance Training which aims to educate vulnerable Australians about nutrition and healthy eating, providing valuable life skills to disadvantaged and marginalised communities. Ronni was born and schooled in South Africa. She went to university in Israel where she received a BA in Fine Arts and English, then went on to live on a kibbutz for 12 years before emigrating to Australia in 1988 with her family. Ronni had previously been in the event’s industry for 20 years, running her own company Ronni Kahn Event Designs (RKED). to the Community in 2012.